August 24, 2010 - Road Mtg. in Houston, TX (Audio only). April 29, 2009 - audio only. February 10, 2009 - audio only. Study the benefit of legislation that would require coastal regions, when making routine improvements to drainage systems and other infrastructure, to take into account probability of future flooding and any upgrades necessary to prevent future flooding. Study and make recommendations on methods of emergency notification during a natural disaster. Look into alternative systems and new technologies for rerouting 911-type calls to become more efficient and effective. Study and make recommendations to streamline the process of informing citizens impacted by an emergency or disaster prior to the event about re-entry and aid. Study and make recommendations relating to cost effective options to either retrofit or require new building structures to be built as shelters for use during future evacuations. 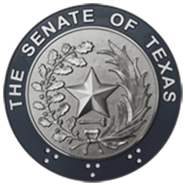 Monitor the implementation of legislation addressed by the Senate Subcommittee on Flooding & Evacuations, 81st Legislature, Regular and Called Sessions, and make recommendations for any legislation needed to improve, enhance, and/or complete implementation.